Hacked some Kick-Me-Not units. Well. I didn't do anything to the red LED blinkie thing per se. Rather, I made an insert that goes in place of the two batteries (the LR1130 and the LR44). Apothic red wine fake cork to the rescue (again). 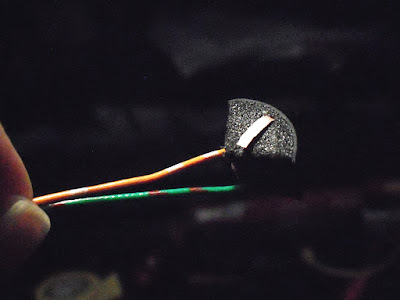 Hammered the ends of the wires flat. 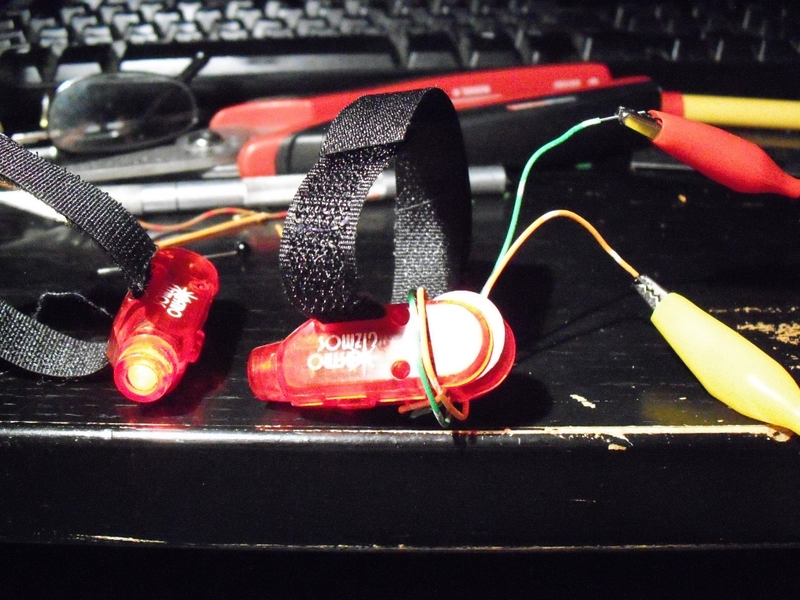 Prototyped the first one (right) and tested it on an external power supply (set to 1.5VDC*). It worked! Converted three pieces. Secured the solid wire leads. I'll use these for tripod legs. 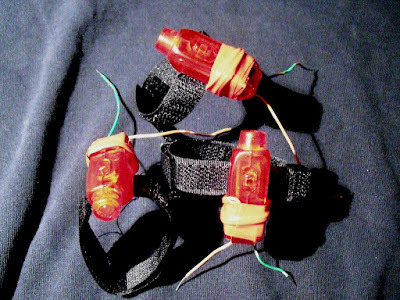 Next step is to make the harness to connect them all together. * Upon review, that note seems odd. The KMN light takes two batteries each outputting 1.5 volts so the total supply voltage should be 3.0. Did I test at 3.0 and write it down wrong? Or did I test at 1.5?